Metallic Twilight Grey, £27,490+VAT. '68' REGISTRATION - IN STOCK NOW. 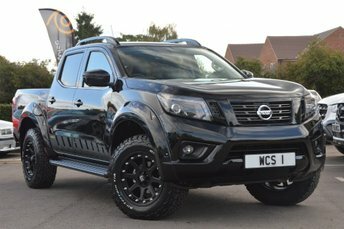 FANTASTIC WCS DESIGN NP300 NAVARA WIDETRAK BLACK EDITION IN TOP FACTORY SPEC AND FITTED WITH OUR DESIGN TRAIL PACKAGE EXTERIOR STYLING. WITH 5 YEAR WARRANTY. 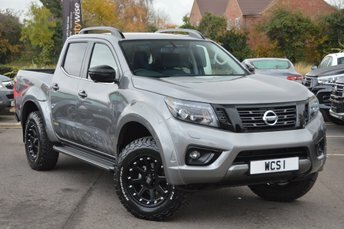 PLEASE SEE OUR WEBSITES - WWW.WCSDESIGN.CO.UK AND WWW.WOODSTOCKCARSALES.CO.UK FOR FURTHER IMAGES OF THIS VEHICLE PLUS DETAILS OF OUR FAMILY BUSINESS BASED ON THE A40 AT EYNSHAM, WITNEY, OXFORDSHIRE. PART EXCHANGE WELCOME, FLEXIBLE FINANCE PACKAGES AND WARRANTY UPGRADES AVAILABLE SUBJECT TO STATUS - PLEASE NOTE SPECIFICATION MAY VARY FROM THESE STOCK IMAGES, PLEASE CALL FOR EXACT SPECS ON NEW VEHICLES., 1 owner, Black Full leather interior, 5 seats, PLEASE SEE WWW.WOODSTOCKCARSALES.CO.UK FOR FURTHER IMAGES OF THIS VEHICLE.